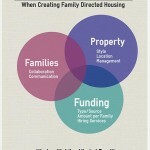 Should You Contribute to Family Directed Housing? For many, the answer is a resounding YES! Your child may require some level of support for his or her entire life. You may be able to provide most of the care, but what happens when you can’t continue the role of primary caregiver? Unless you are extremely wealthy, your family will likely depend on government services for support. Although well-meaning and regulated, the system is large, complex, and difficult to access. In a nutshell, your child could end up without the services he or she needs. You can change that. By purchasing or contributing to a home, you can help your child experience the best possible future, because you know your child’s needs the best. guarantee the lifestyle to which your child is accustomed. choose where your child lives. increase the probability that your child will live with people of his or her choosing. possibly save years of waiting for services to become available for the child. Remember: Get your child on the county waiting list for residential services as soon as possible, even if you might change your mind later. Carefully examine finances. The less time needed to raise funds, the more time to tackle the important issues involved in starting up and running the home. Invest a lot of time in the planning stages. The process can take several years, and you may need to meet with dozens of families and service providers. Be willing to work with a team. You cannot do it alone. You will need to work with the government offices, other families, and service providers. Do not become isolated. Be flexible. The planning process takes time, energy and perseverance. Be flexible with your timelines and in working with others. Include your child in the decision-making process. Do this as much as he or she is able and willing. Encourage your child. Individuals are most successful when they know they’re surrounded by supportive and caring people. 70% of people over age 65 will need long term care according to the Department of Health and Human Services. Consider current assets and long term estate planning (including other family members you wish to leave assets to). 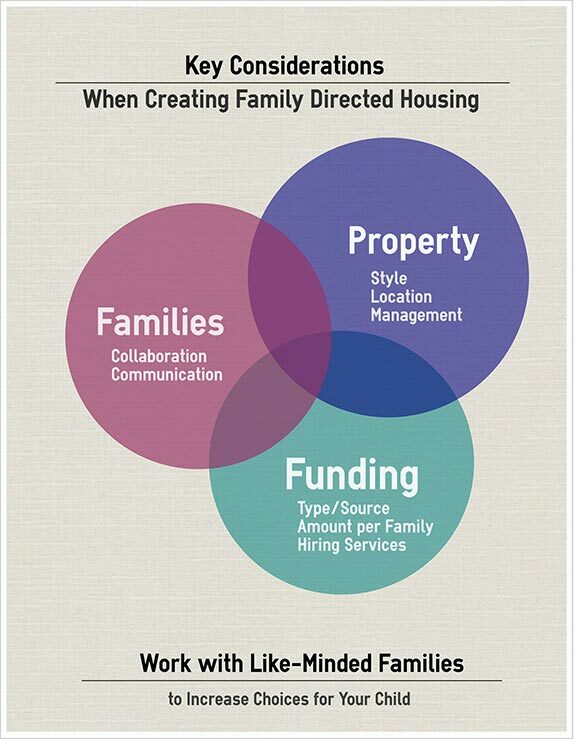 You can make a significant contribution to family directed housing for the same as you would for a child’s wedding, college, or first car.